Although tables and indexes are the most important and commonly used schema objects, the database supports many other types of schema objects, the most common of which are discussed in this chapter. In an Oracle database, partitioning enables you to decompose very large tables and indexes into smaller and more manageable pieces called partitions. Each partition is an independent object with its own name and optionally its own storage characteristics. For an analogy that illustrates partitioning, suppose an HR manager has one big box that contains employee folders. Each folder lists the employee hire date. Queries are often made for employees hired in a particular month. One approach to satisfying such requests is to create an index on employee hire date that specifies the locations of the folders scattered throughout the box. In contrast, a partitioning strategy uses many smaller boxes, with each box containing folders for employees hired in a given month. Using smaller boxes has several advantages. When asked to retrieve the folders for employees hired in June, the HR manager can retrieve the June box. Furthermore, if any small box is temporarily damaged, the other small boxes remain available. Moving offices also becomes easier because instead of moving a single heavy box, the manager can move several small boxes. The unavailability of a partition does not entail the unavailability of the object. The query optimizer automatically removes unreferenced partitions from the query plan so queries are not affected when the partitions are unavailable. A partitioned object has pieces that can be managed either collectively or individually. DDL statements can manipulate partitions rather than entire tables or indexes. Thus, you can break up resource-intensive tasks such as rebuilding an index or table. For example, you can move one table partition at a time. If a problem occurs, then only the partition move must be redone, not the table move. Also, dropping a partition avoids executing numerous DELETE statements. In some OLTP systems, partitions can decrease contention for a shared resource. For example, DML is distributed over many segments rather than one segment. In a data warehouse, partitioning can speed processing of ad hoc queries. For example, a sales table containing a million rows can be partitioned by quarter. Each partition of a table or index must have the same logical attributes, such as column names, data types, and constraints. For example, all partitions in a table share the same column and constraint definitions. However, each partition can have separate physical attributes, such as the tablespace to which it belongs. The partition key is a set of one or more columns that determines the partition in which each row in a partitioned table should go. Each row is unambiguously assigned to a single partition. In the sales table, you could specify the time_id column as the key of a range partition. The database assigns rows to partitions based on whether the date in this column falls in a specified range. Oracle Database automatically directs insert, update, and delete operations to the appropriate partition by using the partition key. Oracle Partitioning offers several partitioning strategies that control how the database places data into partitions. The basic strategies are range, list, and hash partitioning. A single-level partitioning uses only one method of data distribution, for example, only list partitioning or only range partitioning. In composite partitioning, a table is partitioned by one data distribution method and then each partition is further divided into subpartitions using a second data distribution method. For example, you could use a list partition for channel_id and a range subpartition for time_id. In range partitioning, the database maps rows to partitions based on ranges of values of the partitioning key. Range partitioning is the most common type of partitioning and is often used with dates. Afterward, you load time_range_sales with the rows from Example 4-1. Figure 4-1 shows the row distributions in the four partitions. The database chooses the partition for each row based on the time_id value according to the rules specified in the PARTITION BY RANGE clause. Description of "Figure 4-1 Range Partitions"
The range partition key value determines the non-inclusive high bound for a specified partition. In Figure 4-1, the SALES_1998 partition contains rows with partitioning key time_id dates earlier than 01-JAN-1999. Interval partitioning is an extension of range partitioning. If you insert data that exceeds existing range partitions, then Oracle Database automatically creates partitions of a specified interval. For example, you could create a sales history table that stores data for each month in a separate partition. Interval partitions enable you to avoid creating range partitions explicitly. You can use interval partitioning for almost every table that is range partitioned and uses fixed intervals for new partitions. Unless you create range partitions with different intervals, or unless you always set specific partition attributes, consider using interval partitions. When partitioning by interval, you must specify at least one range partition. The range partitioning key value determines the high value of the range partitions, which is called the transition point. The database automatically creates interval partitions for data with values that are beyond the transition point. The lower boundary of every interval partition is the inclusive upper boundary of the previous range or interval partition. Thus, in Example 4-2, value 01-JAN-2011 is in partition p2. The database creates interval partitions for data beyond the transition point. An interval partition extends range partitioning by instructing the database to create partitions of the specified range or interval. The database automatically creates the partitions when data inserted into the table exceeds all existing range partitions. In Example 4-2, the p3 partition contains rows with partitioning key time_id values greater than or equal to 01-JAN-2013. Assume that create a sales table with four partitions of varying widths. You specify that above the transition point of January 1, 2013, the database should create partitions in one month intervals. The high bound of partition p3 represents the transition point. Partition p3 and all partitions below it are in the range section, whereas all partitions above it fall into the interval section. In list partitioning, the database uses a list of discrete values as the partition key for each partition. The partitioning key consists of one or more columns. You can use list partitioning to control how individual rows map to specific partitions. By using lists, you can group and organize related sets of data when the key used to identify them is not conveniently ordered. Afterward, you load the table with the rows from Example 4-1. Figure 4-2 shows the row distribution in the two partitions. The database chooses the partition for each row based on the channel_id value according to the rules specified in the PARTITION BY LIST clause. Rows with a channel_id value of 2 or 4 are stored in the EVEN_CHANNELS partitions, while rows with a channel_id value of 3 or 9 are stored in the ODD_CHANNELS partition. Description of "Figure 4-2 List Partitions"
In hash partitioning, the database maps rows to partitions based on a hashing algorithm that the database applies to the user-specified partitioning key. The destination of a row is determined by the internal hash function applied to the row by the database. When the number of partitions is a power of 2, the hashing algorithm creates a roughly even distribution of rows across all partitions. Hash partitioning is useful for dividing large tables to increase manageability. Instead of one large table to manage, you have several smaller pieces. The loss of a single hash partition does not affect the remaining partitions and can be recovered independently. Hash partitioning is also useful in OLTP systems with high update contention. For example, a segment is divided into several pieces, each of which is updated, instead of a single segment that experiences contention. Afterward, you load the table with the rows from Example 4-1. Figure 4-3 shows a possible row distribution in the two partitions. The names of these partitions are system-generated. As you insert rows, the database attempts to randomly and evenly distribute them across partitions. You cannot specify the partition into which a row is placed. The database applies the hash function, whose outcome determines which partition contains the row. Description of "Figure 4-3 Hash Partitions"
In reference partitioning, the partitioning strategy of a child table is solely defined through the foreign key relationship with a parent table. For every partition in the parent table, exactly one corresponding partition exists in the child table. The parent table stores the parent records in a specific partition, and the child table stores the child records in the corresponding partition. For example, an orders table is the parent of the line_items table, with a primary key and foreign key defined on order_id. The tables are partitioned by reference. For example, if the database stores order 233 in partition Q3_2015 of orders, then the database stores all line items for order 233 in partition Q3_2015 of line_items. If partition Q4_2015 is added to orders, then the database automatically adds Q4_2015 to line_items. By using the same partitioning strategy for both the parent and child tables, you avoid duplicating all partitioning key columns. This strategy reduces the manual overhead of denormalization, and saves space. Maintenance operations on a parent table occur on the child table automatically. For example, when you add a partition to the master table, the database automatically propagates this addition to its descendents. The database automatically uses partition-wise joins of the partitions in the parent and child table, improving performance. You can use reference partitioning with all basic partitioning strategies, including interval partitioning. You can also create reference partitioned tables as composite partitioned tables. This example creates a parent table orders which is range-partitioned on order_date. The reference-partitioned child table order_items is created with four partitions, Q1_2015, Q2_2015, Q3_2015, and Q4_2015, where each partition contains the order_items rows corresponding to orders in the respective parent partition. In composite partitioning, a table is partitioned by one data distribution method and then each partition is further subdivided into subpartitions using a second data distribution method. Thus, composite partitioning combines the basic data distribution methods. All subpartitions for a given partition represent a logical subset of the data. Depending on the SQL statement, partition pruning on one or two dimensions may improve performance. Queries may be able to use full or partial partition-wise joins on either dimension. You can perform parallel backup and recovery of a single table. The number of partitions is greater than in single-level partitioning, which may be beneficial for parallel execution. You can implement a rolling window to support historical data and still partition on another dimension if many statements can benefit from partition pruning or partition-wise joins. You can store data differently based on identification by a partitioning key. For example, you may decide to store data for a specific product type in a read-only, compressed format, and keep other product type data uncompressed. Range, list, and hash partitioning are eligible as subpartitioning strategies for composite partitioned tables. The following figure offers a graphical view of range-hash and range-list composite partitioning. Description of "Figure 4-4 Composite Range-List Partitioning"
The database stores every subpartition in a composite partitioned table as a separate segment. Thus, subpartition properties may differ from the properties of the table or from the partition to which the subpartitions belong. A partitioned table consists of one or more partitions, which are managed individually and can operate independently of the other partitions. A table is either partitioned or nonpartitioned. Even if a partitioned table consists of only one partition, this table is different from a nonpartitioned table, which cannot have partitions added to it. A partitioned table is made up of one or more table partition segments. If you create a partitioned table named hash_products, then no table segment is allocated for this table. Instead, the database stores data for each table partition in its own partition segment. Each table partition segment contains a portion of the table data. Some or all partitions of a heap-organized table can be stored in a compressed format. Compression saves space and can speed query execution. Thus, compression can be useful in environments such as data warehouses, where the amount of insert and update operations is small, and in OLTP environments. You can declare the attributes for table compression for a tablespace, table, or table partition. If declared at the tablespace level, then tables created in the tablespace are compressed by default. You can alter the compression attribute for a table, in which case the change only applies to new data going into that table. Consequently, a single table or partition may contain compressed and uncompressed blocks, which guarantees that data size will not increase because of compression. If compression could increase the size of a block, then the database does not apply it to the block. A partitioned index is an index that, like a partitioned table, has been divided into smaller and more manageable pieces. Global indexes are partitioned independently of the table on which they are created, whereas local indexes are automatically linked to the partitioning method for a table. Like partitioned tables, partitioned indexes improve manageability, availability, performance, and scalability. The following graphic shows index partitioning options. Description of "Figure 4-5 Index Partitioning Options"
In a local partitioned index, the index is partitioned on the same columns, with the same number of partitions and the same partition bounds as its table. Each index partition is associated with exactly one partition of the underlying table, so that all keys in an index partition refer only to rows stored in a single table partition. In this way, the database automatically synchronizes index partitions with their associated table partitions, making each table-index pair independent. Availability is increased because actions that make data invalid or unavailable in a partition affect this partition only. Partition maintenance is simplified. When moving a table partition, or when data ages out of a partition, only the associated local index partition must be rebuilt or maintained. In a global index, all index partitions must be rebuilt or maintained. If point-in-time recovery of a partition occurs, then the indexes can be recovered to the recovery time (see "Data File Recovery"). The entire index does not need to be rebuilt. In Figure 4-6, the hash_products table has two partitions, so hash_sales_idx has two partitions. Each index partition is associated with a different table partition. Index partition SYS_P38 indexes rows in table partition SYS_P33, whereas index partition SYS_P39 indexes rows in table partition SYS_P34. Description of "Figure 4-6 Local Index Partitions"
You cannot explicitly add a partition to a local index. Instead, new partitions are added to local indexes only when you add a partition to the underlying table. Likewise, you cannot explicitly drop a partition from a local index. Instead, local index partitions are dropped only when you drop a partition from the underlying table. Like other indexes, you can create a bitmap index on partitioned tables. The only restriction is that bitmap indexes must be local to the partitioned table—they cannot be global indexes. Global bitmap indexes are supported only on nonpartitioned tables. Local partitioned indexes are either prefixed or nonprefixed. In this case, the partition keys are on the leading edge of the index definition. In the time_range_sales example in Range Partitioning, the table is partitioned by range on time_id. A local prefixed index on this table would have time_id as the first column in its list. In this case, the partition keys are not on the leading edge of the indexed column list and need not be in the list at all. In the hash_sales_idx example in Local Partitioned Indexes, the index is local nonprefixed because the partition key product_id is not on the leading edge. Both types of indexes can take advantage of partition elimination (also called partition pruning), which occurs when the optimizer speeds data access by excluding partitions from consideration. Whether a query can eliminate partitions depends on the query predicate. A query that uses a local prefixed index always allows for index partition elimination, whereas a query that uses a local nonprefixed index might not. Like a table partition, a local index partition is stored in its own segment. Each segment contains a portion of the total index data. Thus, a local index made up of four partitions is not stored in a single index segment, but in four separate segments. A global partitioned index is a B-tree index that is partitioned independently of the underlying table on which it is created. A single index partition can point to any or all table partitions, whereas in a locally partitioned index, a one-to-one parity exists between index partitions and table partitions. In general, global indexes are useful for OLTP applications, where rapid access, data integrity, and availability are important. In an OLTP system, a table may be partitioned by one key, for example, the employees.department_id column, but an application may need to access the data with many different keys, for example, by employee_id or job_id. Global indexes can be useful in this scenario. As shown in Figure 4-7, a global index partition can contain entries that point to multiple table partitions. Index partition p1 points to the rows with a channel_id of 2, index partition p2 points to the rows with a channel_id of 3, and index partition p3 points to the rows with a channel_id of 4 or 9. Description of "Figure 4-7 Global Partitioned Index"
A partial index is an index that is correlated with the indexing properties of an associated partitioned table. The correlation enables you to specify which table partitions are indexed. Table partitions that are not indexed avoid consuming unnecessary index storage space. Performance of loads and queries can improve. Before Oracle Database 12c, an exchange partition operation required a physical update of an associated global index to retain it as usable. Starting with Oracle Database 12c, if the partitions involved in a partition maintenance operation are not part of a partial global index, then the index remains usable without requiring any global index maintenance. If you index only some table partitions at index creation, and if you later index other partitions, then you can reduce the sort space required by index creation. You can turn indexing on or off for the individual partitions of a table. A partial local index does not have usable index partitions for all table partitions that have indexing turned off. A global index, whether partitioned or not, excludes the data from all partitions that have indexing turned off. The database does not support partial indexes for indexes that enforce unique constraints. The following figure shows the same global index as in Figure 4-7, except that the global index is partial. Table partitions SALES_1998 and SALES_2000 have the indexing property set to OFF, so the partial global index does not index them. Description of "Figure 4-8 Partial Global Partitioned Index"
An index-organized table (IOT) supports partitioning by range, list, or hash. Partitioning is useful for providing improved manageability, availability, and performance for IOTs. In addition, data cartridges that use IOTs can take advantage of the ability to partition their stored data. Partition columns must be a subset of primary key columns. Secondary indexes can be partitioned locally and globally. OVERFLOW data segments are always equipartitioned with the table partitions. Oracle Database supports bitmap indexes on partitioned and nonpartitioned index-organized tables. A mapping table is required for creating bitmap indexes on an index-organized table. A view is a logical representation of one or more tables. In essence, a view is a stored query. A view derives its data from the tables on which it is based, called base tables. Base tables can be tables or other views. All operations performed on a view actually affect the base tables. You can use views in most places where tables are used. Materialized views use a different data structure from standard views. For example, Figure 4-9 shows how the staff view does not show the salary or commission_pct columns of the base table employees. For example, a single view can be defined with a join, which is a collection of related columns or rows in multiple tables. However, the view hides the fact that this information actually originates from several tables. A query might also perform extensive calculations with table information. Thus, users can query a view without knowing how to perform a join or calculations. For example, the columns of a view can be renamed without affecting the tables on which the view is based. For example, if the defining query of a view references three columns of a four column table, and a fifth column is added to the table, then the definition of the view is not affected, and all applications using the view are not affected. As with all subqueries, the query that defines a view cannot contain the FOR UPDATE clause. The following graphic illustrates the view named staff. Notice that the view shows only five of the columns in the base table. Description of "Figure 4-9 View"
Unlike a table, a view is not allocated storage space, nor does a view contain data. Rather, a view is defined by a query that extracts or derives data from the base tables referenced by the view. Because a view is based on other objects, it requires no storage other than storage for the query that defines the view in the data dictionary. A view has dependencies on its referenced objects, which are automatically handled by the database. For example, if you drop and re-create a base table of a view, then the database determines whether the new base table is acceptable to the view definition. Because views are derived from tables, they have many similarities. Users can query views, and with some restrictions they can perform DML on views. Operations performed on a view affect data in some base table of the view and are subject to the integrity constraints and triggers of the base tables. The defining query references only rows for department 10. The CHECK OPTION creates the view with a constraint so that INSERT and UPDATE statements issued against the view cannot result in rows that the view cannot select. Thus, rows for employees in department 10 can be inserted, but not rows for department 30. Oracle Database stores a view definition in the data dictionary as the text of the query that defines the view. Oracle Database optimizes the merged query as if you issued the query without referencing the views. Therefore, Oracle Database can use indexes on any referenced base table columns, whether the columns are referenced in the view definition or in the user query against the view. Sometimes Oracle Database cannot merge the view definition with the user query. In such cases, Oracle Database may not use all indexes on referenced columns. Oracle Database parses a statement that references a view in a new shared SQL area only if no existing shared SQL area contains a similar statement. Thus, views provide the benefit of reduced memory use associated with shared SQL. A join view has multiple tables or views in its FROM clause. An updatable join view, also called a modifiable join view, involves two or more base tables or views and permits DML operations. An updatable view contains multiple tables in the top-level FROM clause of the SELECT statement and is not restricted by the WITH READ ONLY clause. All updatable columns of a join view must map to columns of a key-preserved table, which is a table in which each row of the underlying table appears at most one time in the query output. In the staff_dept_10_30 view, department_id is the primary key of the departments table, so each row from the employees table appears at most once in the result set, making the employees table key-preserved. The departments table is not key-preserved because each of its rows may appear many times in the result set. Just as a view is a virtual table, an object view is a virtual object table. Each row in the view is an object, which is an instance of an object type. An object type is a user-defined data type. You can retrieve, update, insert, and delete relational data as if it were stored as an object type. You can also define views with columns that are object data types, such as objects, REFs, and collections (nested tables and VARRAYs). Object views are useful in prototyping or transitioning to object-oriented applications because the data in the view can be taken from relational tables and accessed as if the table were defined as an object table. You can run object-oriented applications without converting existing tables to a different physical structure. A materialized view is a query result that has been stored or "materialized" in advance as schema objects. The FROM clause of the query can name tables, views, or materialized views. A materialized view often serves as a master table in replication and a fact table in data warehousing. In data warehouses, materialized views can compute and store data generated from aggregate functions such as sums and averages. A summary is an aggregate view that reduces query time by precalculating joins and aggregation operations and storing the results in a table. Materialized views are equivalent to summaries. You can also use materialized views to compute joins with or without aggregations. If compatibility is set to Oracle9i or higher, then queries that include filter selections can use materialized views. In materialized view replication, the view contains a complete or partial copy of a table from a single point in time. Materialized views replicate data at distributed sites and synchronize updates performed at several sites. This form of replication is suitable for environments such as field sales when databases are not always connected to the network. In mobile computing environments, materialized views can download a data subset from central servers to mobile clients, with periodic refreshes from the central servers and propagation of updates by clients to the central servers. In a replication environment, a materialized view shares data with a table in a different database, called a master database. The table associated with the materialized view at the master site is the master table. 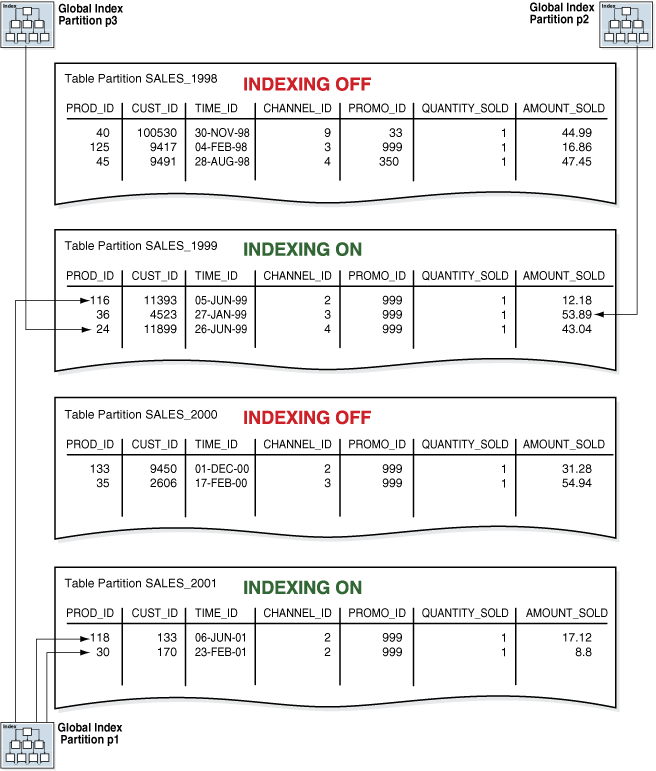 Figure 4-10 illustrates a materialized view in one database based on a master table in another database. Updates to the master table replicate to the materialized view database. Description of "Figure 4-10 Materialized View"
Materialized views share some characteristics of indexes and nonmaterialized views. They contain actual data and consume storage space. They can be refreshed when the data in their master tables changes. They can improve performance of SQL execution when used for query rewrite operations. A materialized view is similar to a nonmaterialized view because it represents data in other tables and views. Unlike indexes, users can query materialized views directly using SELECT statements. Depending on the types of refresh that are required, the views can also be updated with DML statements. The following example drops table sales, which is a master table for sales_mv, and then queries sales_mv. The query selects data because the rows are stored (materialized) separately from the data in the master tables. A materialized view can be partitioned. You can define a materialized view on a partitioned table and one or more indexes on the materialized view. The database maintains data in materialized views by refreshing them after changes to the base tables. The refresh method can be incremental or a complete refresh. A complete refresh executes the query that defines the materialized view. A complete refresh occurs when you initially create the materialized view, unless the materialized view references a prebuilt table, or you define the table as BUILD DEFERRED. A complete refresh can be slow, especially if the database must read and process huge amounts of data. You can perform a complete refresh at any time after creation of the materialized view. An incremental refresh, also called a fast refresh, processes only the changes to the existing data. This method eliminates the need to rebuild materialized views from the beginning. Processing only the changes can result in a very fast refresh time. You can refresh materialized views either on demand or at regular time intervals. Alternatively, you can configure materialized views in the same database as their base tables to refresh whenever a transaction commits changes to the base tables. In this type of refresh, a materialized view log or a direct loader log keeps a record of changes to the base tables. A materialized view log is a schema object that records changes to a base table so that a materialized view defined on the base table can be refreshed incrementally. Each materialized view log is associated with a single base table. PCT refresh is valid only when the base tables are partitioned. PCT refresh removes all data in the affected materialized view partitions or affected portions of data, and then recomputes them. The database uses the modified base table partitions to identify the affected partitions or portions of data in the view. When partition maintenance operations have occurred on the base tables, PCT refresh is the only usable incremental refresh method. For the complete and incremental methods, the database can refresh the materialized view in place, which refreshes statements directly on the view, or out of place. An out-of-place refresh creates one or more outside tables, executes the refresh statements on them, and then switches the materialized view or affected partitions with the outside tables. This technique achieves high availability during refresh, especially when refresh statements take a long time to finish. The loading of incremental data is tightly controlled and occurs at periodic intervals. Tables and their materialized views are often partitioned in the same way, or their partitions are related by a functional dependency. An optimization technique known as query rewrite transforms a user request written in terms of master tables into a semantically equivalent request that includes materialized views. When base tables contain large amounts of data, computing an aggregate or join is expensive and time-consuming. Because materialized views contain precomputed aggregates and joins, query rewrite can quickly answer queries using materialized views. The query transformer transparently rewrites the request to use the materialized view, requiring no user intervention and no reference to the materialized view in the SQL statement. Because query rewrite is transparent, materialized views can be added or dropped without invalidating the SQL in the application code. In general, rewriting queries to use materialized views rather than detail tables improves response time. The following figure shows the database generating an execution plan for the original and rewritten query and choosing the lowest-cost plan. Description of "Figure 4-11 Query Rewrite"
A sequence is a schema object from which multiple users can generate unique integers. A sequence generator provides a highly scalable and well-performing method to generate surrogate keys for a number data type. A sequence definition indicates general information about the sequence, including its name and whether the sequence ascends or descends. The following example creates the sequence customers_seq in the sample schema oe. An application could use this sequence to provide customer ID numbers when rows are added to the customers table. The first reference to customers_seq.nextval returns 1000. The second returns 1001. Each subsequent reference returns a value 1 greater than the previous reference. The same sequence generator can generate numbers for multiple tables. The generator can create primary keys automatically and coordinate keys across multiple rows or tables. For example, a sequence can generate primary keys for an orders table and a customers table. The sequence generator is useful in multiuser environments for generating unique numbers without the overhead of disk I/O or transaction locking. For example, two users simultaneously insert new rows into the orders table. By using a sequence to generate unique numbers for the order_id column, neither user has to wait for the other to enter the next available order number. The sequence automatically generates the correct values for each user. Each user that references a sequence has access to his or her current sequence number, which is the last sequence generated in the session. A user can issue a statement to generate a new sequence number or use the current number last generated by the session. After a statement in a session generates a sequence number, it is available only to this session. Individual sequence numbers can be skipped if they were generated and used in a transaction that was ultimately rolled back. If your application requires a gap-free set of numbers, then you cannot use Oracle sequences. You must serialize activities in the database using your own developed code. A typical data warehouse has two important components: dimensions and facts. A dimension is any category used in specifying business questions, for example, time, geography, product, department, and distribution channel. A fact is an event or entity associated with a particular set of dimension values, for example, units sold or profits. Show total sales across all products at increasing aggregation levels for a geography dimension, from state to country to region, for 2013 and 2014. Create a cross-tabular analysis of our operations showing expenses by territory in South America for 2013 and 2014. Include all possible subtotals. List the top 10 sales representatives in Asia according to 2014 sales revenue for automotive products, and rank their commissions. Many multidimensional questions require aggregated data and comparisons of data sets, often across time, geography or budgets. Creating a dimension permits the broader use of the query rewrite feature. By transparently rewriting queries to use materialized views, the database can improve query performance. A dimension table is a logical structure that defines hierarchical (parent/child) relationships between pairs of columns or column sets. For example, a dimension can indicate that within a row the city column implies the value of the state column, and the state column implies the value of the country column. Within a customer dimension, customers could roll up to city, state, country, subregion, and region. Data analysis typically starts at higher levels in the dimensional hierarchy and gradually drills down if the situation warrants such analysis. Each value at the child level is associated with one and only one value at the parent level. A hierarchical relationship is a functional dependency from one level of a hierarchy to the next level in the hierarchy. A dimension has no data storage assigned to it. Dimensional information is stored in dimension tables, whereas fact information is stored in a fact table. You create dimensions with the CREATE DIMENSION SQL statement. The columns in a dimension can come either from the same table (denormalized) or from multiple tables (fully or partially normalized). For example, a normalized time dimension can include a date table, a month table, and a year table, with join conditions that connect each date row to a month row, and each month row to a year row. In a fully denormalized time dimension, the date, month, and year columns are in the same table. Whether normalized or denormalized, the hierarchical relationships among the columns must be specified in the CREATE DIMENSION statement. A synonym is an alias for a schema object. For example, you can create a synonym for a table or view, sequence, PL/SQL program unit, user-defined object type, or another synonym. Because a synonym is simply an alias, it requires no storage other than its definition in the data dictionary. Synonyms can simplify SQL statements for database users. Synonyms are also useful for hiding the identity and location of an underlying schema object. If the underlying object must be renamed or moved, then only the synonym must be redefined. Applications based on the synonym continue to work without modification. You can create both private and public synonyms. A private synonym is in the schema of a specific user who has control over its availability to others. A public synonym is owned by the user group named PUBLIC and is accessible by every database user. Suppose that a database administrator creates a public synonym named people for the hr.employees table. The user then connects to the oe schema and counts the number of rows in the table referenced by the synonym. Use public synonyms sparingly because they make database consolidation more difficult. As shown in the following example, if another administrator attempts to create the public synonym people, then the creation fails because only one public synonym people can exist in the database. Overuse of public synonyms causes namespace conflicts between applications. Synonyms themselves are not securable. When you grant object privileges on a synonym, you are really granting privileges on the underlying object. The synonym is acting only as an alias for the object in the GRANT statement.